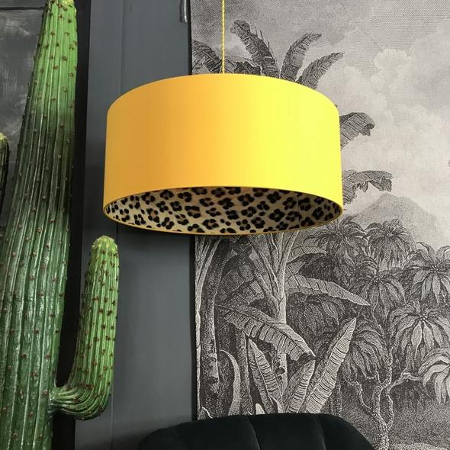 Animal print has officially clawed its way back into interior design. It’s a difficult trend to get right; use too much and it all starts to look a bit Bet Lynch. While too little can look out of place or like a sad afterthought. Pair it with the wrong colours and suddenly you’re in Austin Powers’ boudoir. And don’t even get me started on the fleeting nature of trends… Just don’t invest in a zebra print sofa unless you’re sure you’ll still love it long after everyone else has moved on. That all sounds a bit negative doesn’t it? 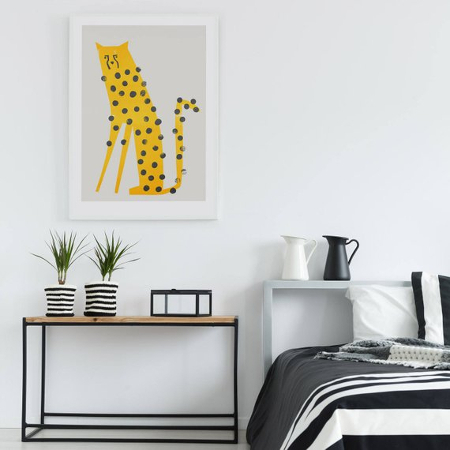 But animal print can be a stylish, fun and playful addition to your home. 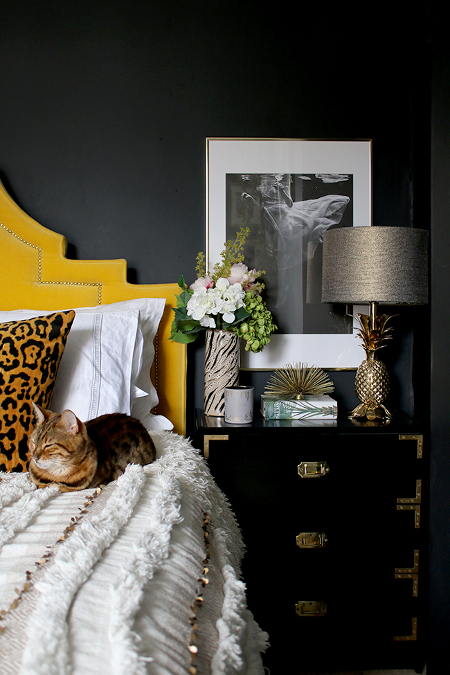 Here are some of my favourite ways to decorate with animal print. Cushions are a quick and affordable way to try any trend. I love the leopard print cushion in the picture above, it’s subtle and chic and the pattern itself is remarkably classy. Leopard print looks great in monochromatic spaces, ramping up the drama and adding layers of interest. Thanks to sites like Etsy and Not on The High Street, great art has become more accessible and more affordable than ever. With beautiful prints like the one above available from just £10.50 you can really experiment with different looks. I love this illustrative take on animal print; it’s subtle yet cool, and has much more longevity than most trends. I might seem a bit commitment-phobic here, but essentially I’ll take my animal print on anything that’s quickly removable. Not because I don’t love a well thought-out print, but because I know that in just a few months time animal prints will be out of fashion, or I’ll be a bit sick of them. So lampshades, vases and other objet d’art are a very enticing solution. Besides, how great is that lampshade above? You can buy it here.